The latest craze seems to be pretzel rolls. I can proudly say that I am (or more accurately, the person I copied it from is) ahead of the curve for a change. But recently I found a slightly simpler recipe for pretzel challahs that does not use eggs or dairy products. And the only oil needed is for greasing. 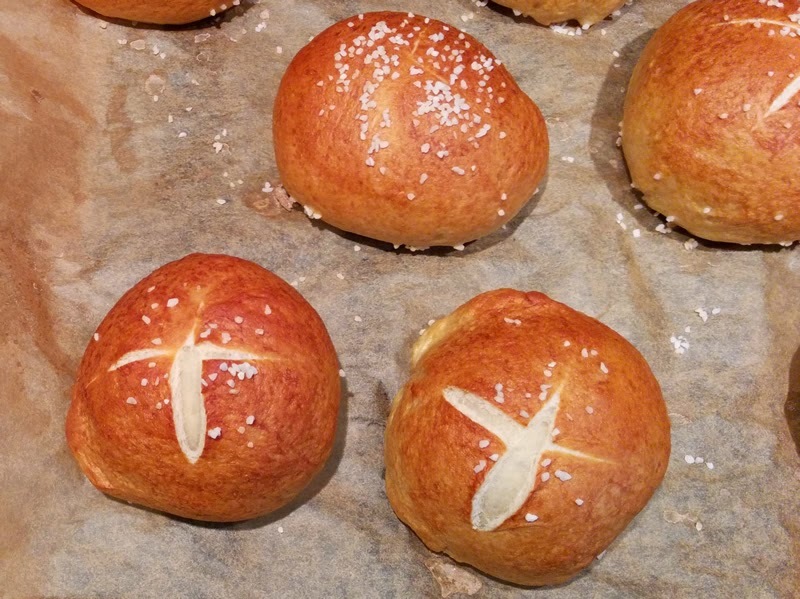 They were in essence challah-shaped pretzel rolls. So of course I formed them into hamburger rolls.